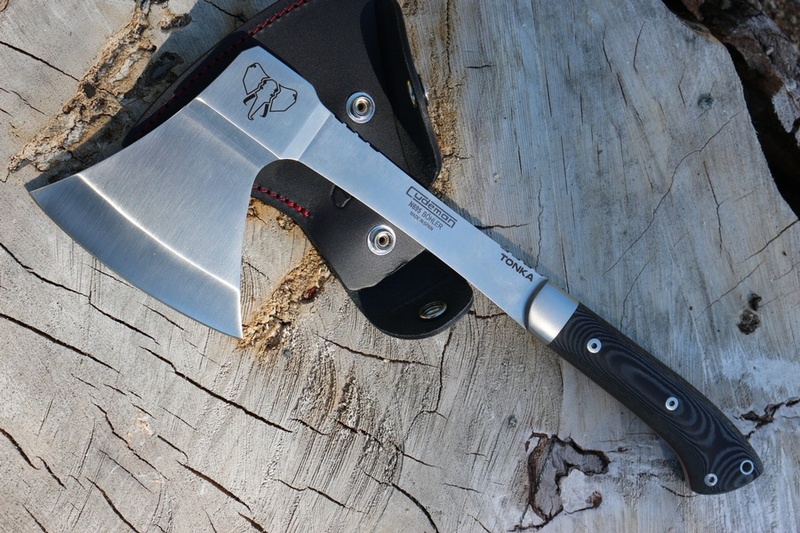 A very solid, one-piece axe from Cudeman Spain!. 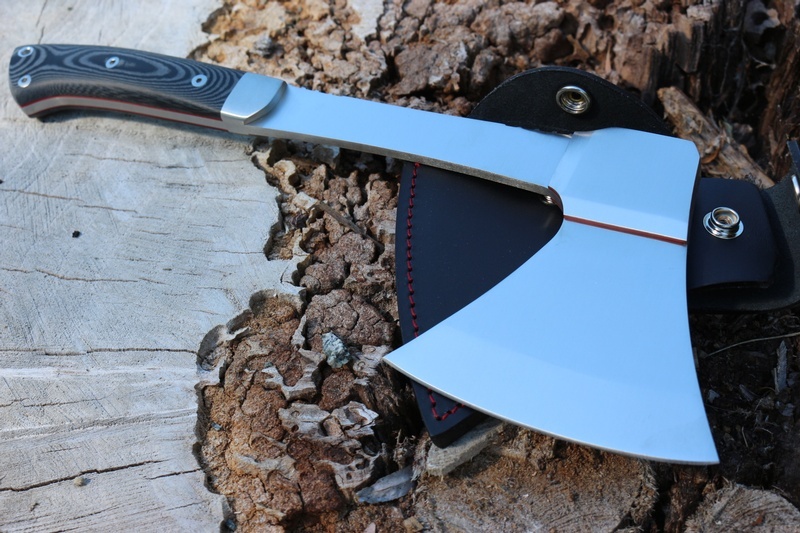 Made to be a handy tool for the woods, this one piece Axe is a solid piece of Bohler N695 Steel with added bolsters, and solid Miarta Handle. Its a well balanced and ergonomic tool and the steel is very tough. Solid bar of 5mm thick N695 gives great strength and the head is a flared double bevel giving a cutting edge of 4.5in. 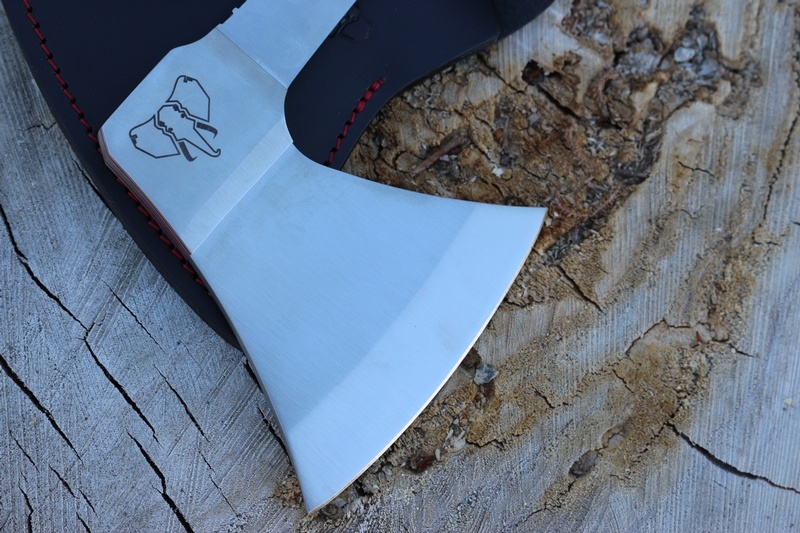 The Axe has jimping on the spine for grip, lanyard hole and red liners under the head bolsters. 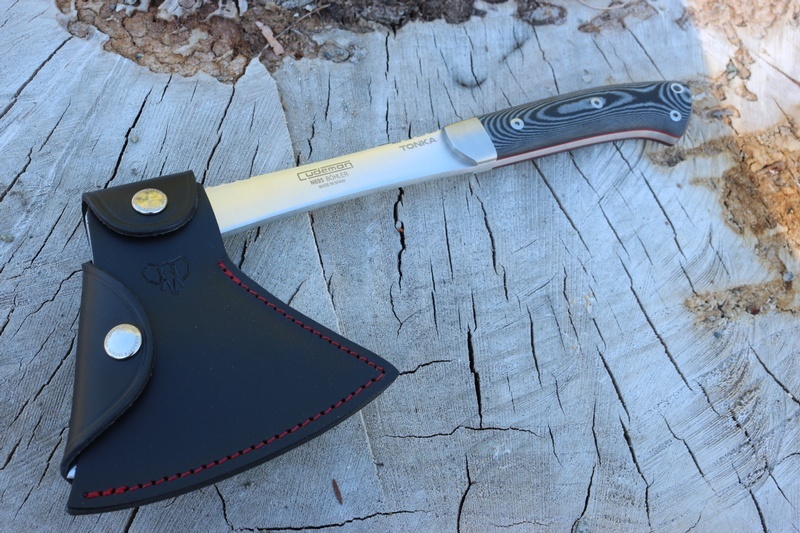 Reliable way to cut around the camp, comes with a leather head over. OAL 15in, Cutting face 4.5in. Purchase through PayPal by using the "Add To Cart" button above or use the form below to order the Cudeman Tonka Axe N695 . Feel free to contact us if you have any questions about the Cudeman Tonka Axe N695 .